Mick Antonelli of Slot Car City has over 17 years experience in slot car racing and will show you how it's done in this in depth 3 long on how to build a Pro Box Stock 12 Winged Car. 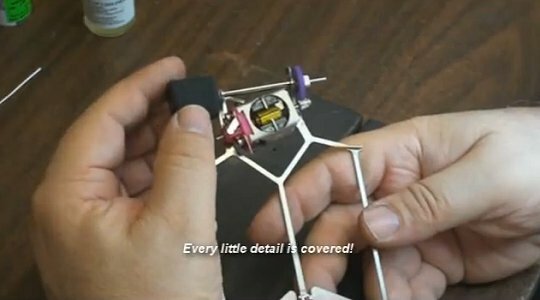 He will take you from the ground up showing every aspect of building a Pro B12 Winged Car. See a 5 minute demo of the above three hour lesson on YouTube below! Purchase the complete Koford "Beuf Express" w/ MickA Kelly Ultra Lite B12 H.P. from the below link! Koford "Beuf Express" w/ MickA Kelly Ultra Lite B12 H.P. !